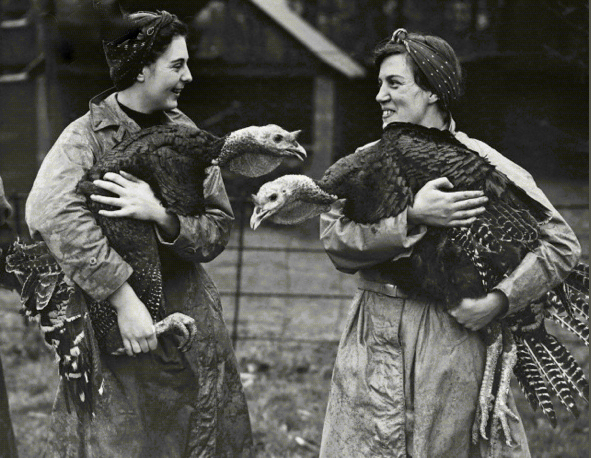 The Buffalo History Gazette: Turkeys Leave Country, Spending Holiday Overseas! Turkeys Leave Country, Spending Holiday Overseas! There are 68 more days until Thanksgiving, and you can do your worrying about that turkey during the last 41. The first 27 days, or until October 15th, you can spend being thankful that the turkey you might not get will go to our boys overseas. This about sizes up the situation. Some time ago the government slapped a two-way freeze order on the national turkey crop. It froze the sale of the birds until it can buy up 15,000,000 to 20,000,000 pounds needed by the armed forces, and it is now freezing the birds for shipment overseas. 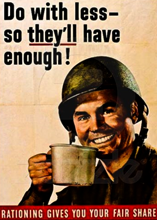 Turkeys remaining after Uncle Sam has his share will be allocated to civilian use. While October 1st is the date set tentatively for relaxing the freeze order, Buffalo poultry dealers heard at their national convention in Chicago this week that, to date, the government has bought only 5,000,000 pounds. They figure the quota will not be completed before mid October at the latest. What are the chances of getting a Thanksgiving turkey? One leading Buffalo poultry dealer said yesterday that "we can't even think of that possibility yet." A "sprinkling" of turkeys may come through after October 15th, and by the time Thanksgiving rolls around on November 25, there may be enough to go around, he said. But he made it clear that everything is up in the air now. One of the poultry dealers who attended the Chicago convention said it was reported there while the nations poultry crop this year, is the largest on record, turkeys are down 10 percent from last year. 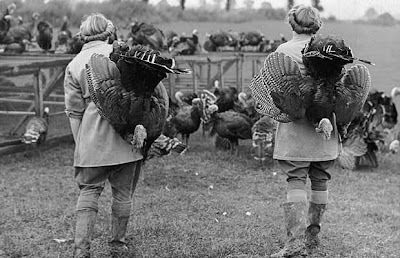 With the government's 1943 holiday turkey order much larger than last year, and on a smaller crop on which to draw, the prospect of enough turkeys to supply the civilian demand is extremely slender, this dealer said. On the other hand, he pointed out, with the biggest crop of poultry of all time, there will be a choice of substitutes for the Thanksgiving piece de resistance. While poultry is rather scarce right now, it is expected to start coming to market in quantity when the poultrymen bring in their young flocks from the range and begin liquidating old stock to make room. "By early November, and until over the holidays, the poultry supply should increase by leaps and bounds," this dealer added. The small local turkey grower heads a priority list of consumers reasonably sure of having turkey to eat on Thanksgiving. Next in order of reasonable sureness are his consumers of long standing, many of whom have had their Thanksgiving and Christmas orders in since last year. Although the turkey grower with flocks of up to a few hundred birds is subject to the freeze order, the government has not called on him so far. Buying in such huge quantity, it has to depend chiefly on the big western turkey ranches. Still another factor in the local small turkey growers favor, is that his birds are not due to be ready until a few days before the holiday. Uncle Sam wants birds that are ready now, so they may be frozen and shipped in time to reach their far-flung destinations before the holidays. Home used to be the only place to get a real old fashioned Thanksgiving dinner with turkey and all the trimmings. This year it may be the only place you can't. 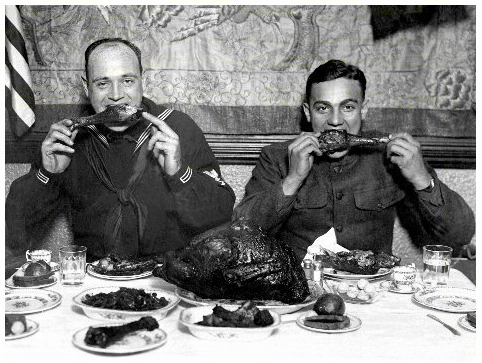 Speaking of old fashioned Thanksgiving dinners...It's what the soldiers at Fort Niagara will down at their noonday meal on November 25, and is typical of the fare to be served that day at all the service posts in this area. "We expect to have two shifts of cooks working all night before Thanksgiving"...said Capt. Harry Betts, food service officer at Fort Niagara. "Our Thanksgiving menu calls for 2,300 pounds of turkey." The only men at Ft. Niagara not sure of having turkey for Thanksgiving are the 10 percent who will be home on furlough. Turkey to the tune of 40,000 pounds is being readied for the Naval Training Station at Sampson, largest of the service camps in the Buffalo area. Smaller military posts in the area all are building their holiday menus around turkey. These include Camp Curtiss Air in Cheektowaga, Camp Bell in Niagara Falls, the aviation students at the University of Buffalo and Canisius College, the M.P. 's of the Second Service Command, and the anti-aircraft crews. There is just one drawback to the whole Thanksgiving show as far as the men are concerned. With few exceptions, Thanksgiving will not be a holiday. They will have the usual hour to eat the holiday meal and enough work afterwards to work it off. 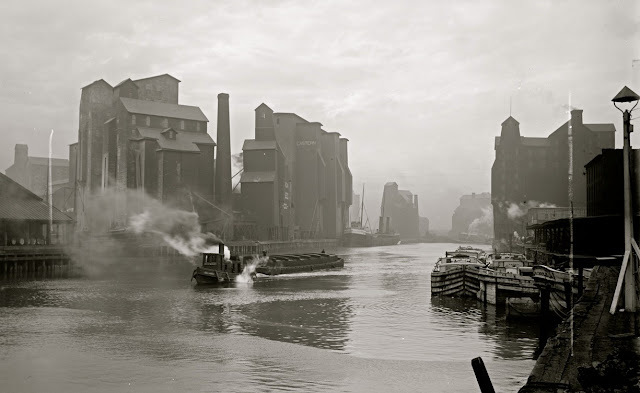 The Military Police guarding Italian war prisoners at work in Western NY canning factories will have to take pot-luck unless they work out of an army post such as the one at Attica. Guards stationed at such posts as the Heinz plant at Medina, are fed at the plant Cafeteria, and take whatever is offered. Asked if the Italian war prisoners--some 800 of them are working in the Buffalo area--would have turkey for Thanksgiving, Col. McDowell said: "With thousands of Americans having to go without turkeys this year so our men in the armed forces could have them, my guess would be, no." If your all through worrying about the turkey that you can't have for Thanksgiving, and you'll settle for a nice, fat roasting chicken, you can now start worrying about getting that nice, fat roasting chicken. While Buffalo poultry dealers expect a fair supply of chickens for next weeks holiday, they also anticipate a demand all out of proportion to other years, as a result of the acute turkey shortage. They fear that no matter how many birds they get, the supply will be too small to go around. As to the OPA cracking down on certain dealers who, it charges, "have deliberately corralled the turkey market in this territory," these dealers enquired yesterday: "What turkey market?" "You've got to have the merchandise before you can corner the market on anything," said one. "If there are any turkeys in Buffalo, outside of the exception to prove the rule, I'd like to know it." Harley T. Jones, a poultry buyer for Hickman, Coward & Wattles, Niagara Frontier Food Terminal, returned yesterday from a buying trip to the midwest, where, he found few turkeys available at ceiling prices. "But I bought all the chickens in sight, and they weren't too easy to find either. We are laying in about three times as many chickens as we ordinarily do, as we expect the demand to be tremendous, with families going in for two or three chickens in place of the one turkey they would have bought." 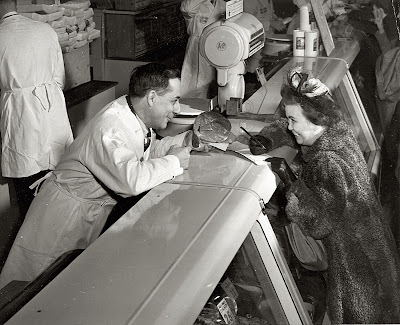 A spokesman for the Will Poultry Co., 1223 William Street, attributed the turkey and general poultry shortage to the fact that "the government froze turkey sales too long." They were frozen during August, September and October, he said during which time the packers usually dress and freeze their stock for the holiday market. As another result of the government freeze order, he said, birds not taken for the armed forces were permitted to get too big for the ordinary market. He reported one turkey farmer in Fredonia, who raised between 6,000 and 8,000 birds, has many weighing as high as 28 to 30 pounds. The Will Poultry Co. representative said that while his company will have more chickens than usual for the holidays, roasting birds will be fairly scarce. Fairmont Creamery, which expects to have 15-20% of it's normal allotment of turkeys, said yesterday, it's supply of chickens "will not be anywhere near what we'd like." We found, General Manager Ingraham said, "that chickens as well as turkeys are pretty scarce in the Midwest." Editor: So Everybody be thankful for what you have this Thanksgiving, whatever fare is on your table. If you have little, be thankful for what it is you do have, there are others who have even less. If you have much, be thankful for the abundance bestowed on you, and give what you can to those who have less and help restore a balance and faith in Mankind. And always give thanks to those in our armed forces who are putting their lives on the line everyday, fighting, so we may all celebrate in peace.